Azalia Snail has been a mainstay of the American indie scene for a long time. And one can understand her longevity when one hears the sort of bright pop she routinely cranks out. 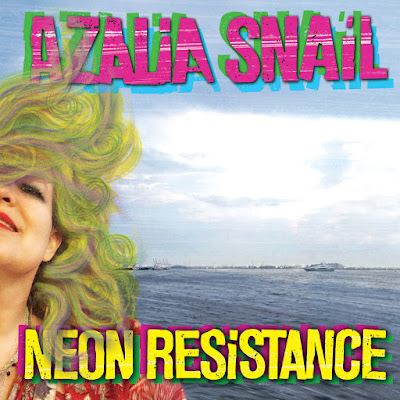 Her newest record, Neon Resistance, is out now via Silber Records and it's as fine a record as any in her rich back-catalog. The trippy "Celeste (Can You Feel It)" kicks things off, before the percolating electro-pop texture of the peppy "Field Rep" propels things forward into the ether. This is spacious, nearly-dazzling indie, the sort of thing that should soundtrack a spring day nicely. Elsewhere, the lovely "Cherry Blossom" recalls stuff from Broadcast a bit, as does the more languid "Made Out of Honey" after that. The very best tunes here, namely "Weekend Back" and "The Moral Chemist", nod in the direction of The Go! Team and Danielle Dax, respectively, Snail wisely layering multiple electronic effects upon the tracks to offer up lo-fi that's less reliant on guitars than other stuff out there in the market-place. The subtle and space-y "I Am The Night Sky" closes the record in splendid fashion, the tune a nice cousin to the sort of thing Laetitia Sadier has been attempting as a solo artist recently. Every Azalia Snail record is interesting. That's a given. 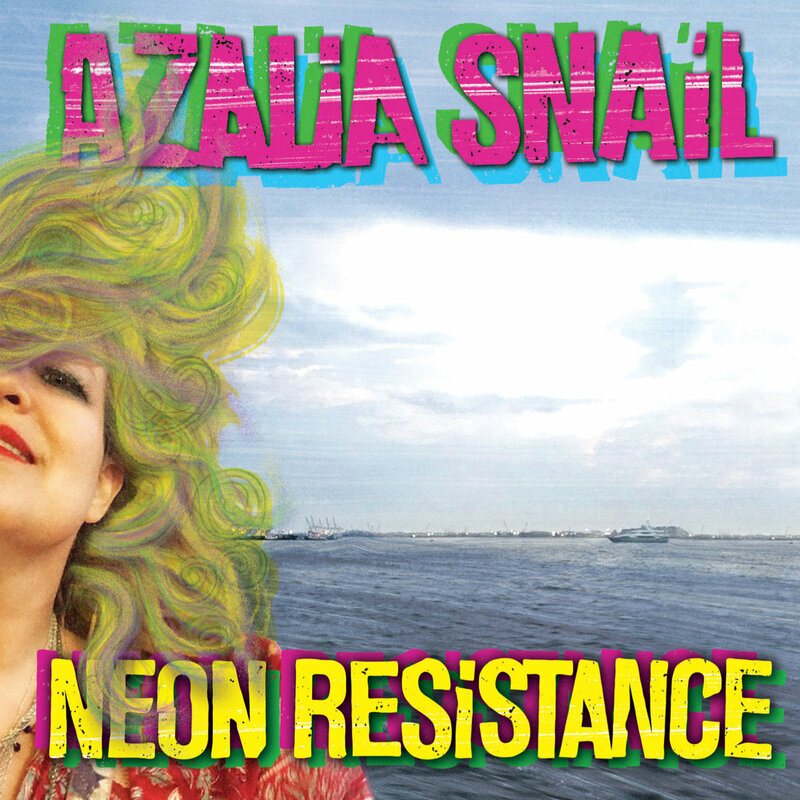 But I'll venture that Neon Resistance is one of her better, bolder recent releases. Azalia has taken some chances here and the results are some of the lightest-and-loveliest compositions in her rich back-catalog. Subtly brave, the electro-tinged indie on Neon Resistance is great stuff that's easy to love. Neon Resistance is out now via Silber Records. More details on Azalia Snail via her official Facebook page.